12-day countdown to Christmas, ensuring the season stays merry and bright. 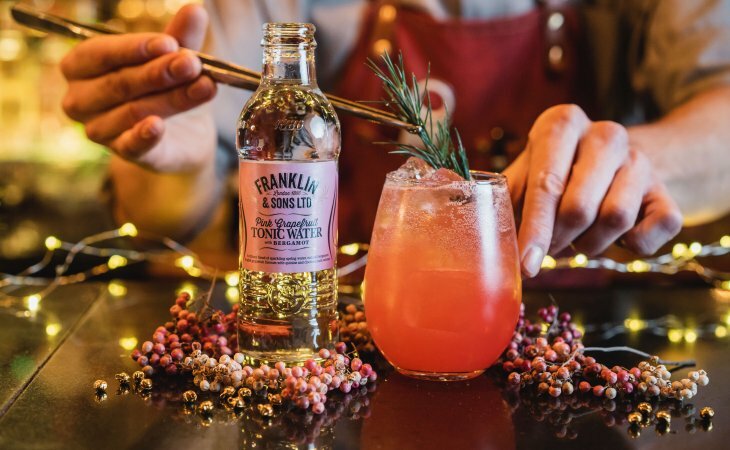 martini mix and combines Franklin & Sons Natural Indian Tonic. creates a vibrant, green festive cocktail. with strawberry, lime and black pepper cracker. Apple and Rhubarb Soda, presented perfectly for Christmas. Sons Sicilian Lemonade and Elderflower and crushed Juniper. and Franklin & Sons Sicilian Lemon Tonic. alternative to the beloved G&T. & Sons Grapefruit Tonic with Bergamot and a slice of lemon. the perfect aperitif before Christmas dinner. rose petal and cucumber. Why mess with perfection? garnish of grapefruit peel and a sprig of rosemary. swimmingly with Portobello Road’s Gin.